"Little God" by Canberra artist Simon Scheuerle. 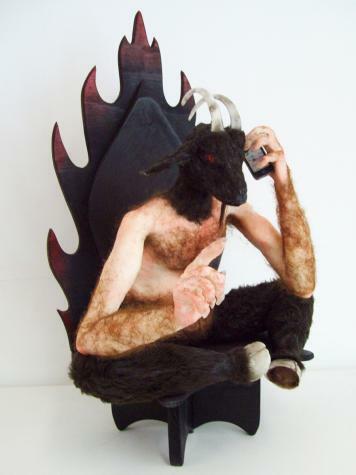 Simon used Plastimake to form the horns and hooves, the rest of the body is made of silicone. We're featuring Simon's work every Friday in June. Check out the previous instalments, "Krokodil", "Morning Bummer" and "The new bad boy of rap".